Chevrolet Philippines wants you to know that it has complete faith in the Duramax engines that the incoming Colorado pickup will be equipped with. "The Duramax engine is a product of more than a century of heritage, evolution and innovation of automotive engineering," Chevrolet said in a press statement. "The engine is built tough as it is made of premium-grade materials that are geared to promote durability and optimum performance." According to Chevrolet, a Duramax engine's pistons are "made of cast-aluminum and coated with graphite that reduces friction and power losses." Among the main features of Duramax engines are high-pressure common-rail fuel-injection systems as well as pneumatic and position feedback-controlled turbochargers, with the top-end 2.8-liter variant even adding a variable geometry feature. Other attributes include an advanced body control module and engine control unit, and a balancer shaft that reduces engine vibration and harshness. These features, boasted Chevrolet, have enabled the four-cylinder Duramax engines to pass the harshest of tests in extreme environments in Africa, Asia, Europe, and North and South America. Which now gives the American carmaker the full confidence to declare that its Duramax engines are "among the industry’s most powerful and most fuel-efficient diesel offerings in their respective displacement classes." 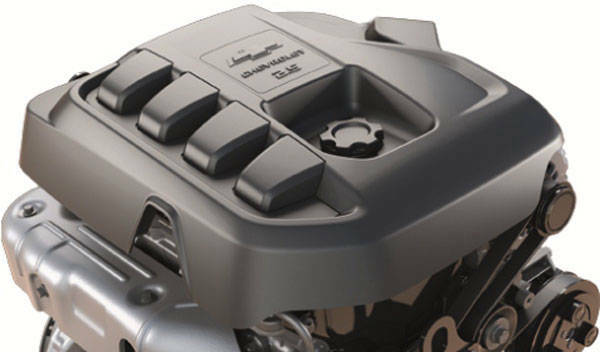 The new Duramax diesel engine is available in either 2.5- or 2.8-liter form. The latter is touted to be capable of producing 180hp and 470Nm (apparently the best in class, according to Chevrolet). The new Duramax engines are now being manufactured at General Motors' $200-million, 54,275sq-m assembly plant in Rayong, Thailand. This plant features precision lasers and computer-guided gauge sequences to be able to assemble up to 120,000 engines a year. The new Duramax engines will service the soon-to-be-launched Colorado pickup, which will be available in our market with both the 2.5- and 2.8-liter displacements of the Duramax powerplant. 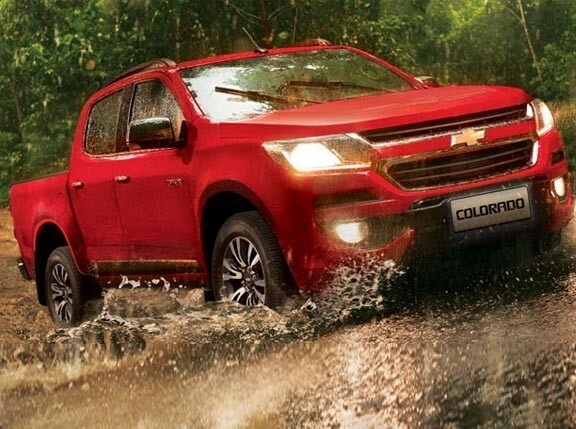 The Colorado, revealed Chevrolet Philippines, will come in both 4x2 and 4x4 versions, and with either a manual or automatic transmission. Here's the interesting part: Chevrolet proclaimed that "the Colorado can accelerate from 0-100kph in 11.64 seconds, making it the fastest truck in the market." Where does that leave the equally new Ford Ranger then?